"The whole experience was handled with courtesy and profession"
Read our customers' honest and impartial Vauxhall Mokka X car reviews and ratings to easily find your next car at Motorparks. I am well pleased with my new Mokka X Every thing seems to fit my requirements. Vauxhall Mokka X Design Nav is everything we wanted. Very happy with the car, higher than average seating, comfortable to drive, layout good. Me and my husband are very happy with the Mokka X Elite. I have driven to Stansted airport. The car performance is excellent and we are very happy with this car. I'm very pleased with my new Mokka X, it's got everything I need, it's very comfortable and I wish I had tried one before. I have no complaints at this time and I'm sure I'll still feel the same about it until I need to renew it. Quite pleased with the car except that it doesn't have all the facilities that we were advised it would have. Love the size, shape and fuel efficiency great family car. The Mokka X is extremely driver friendly. I have an automatic, petrol version which I have found to be far more efficient in terms of mpg. The additional extras make driving much safer and my confidence has grown since I received this car. 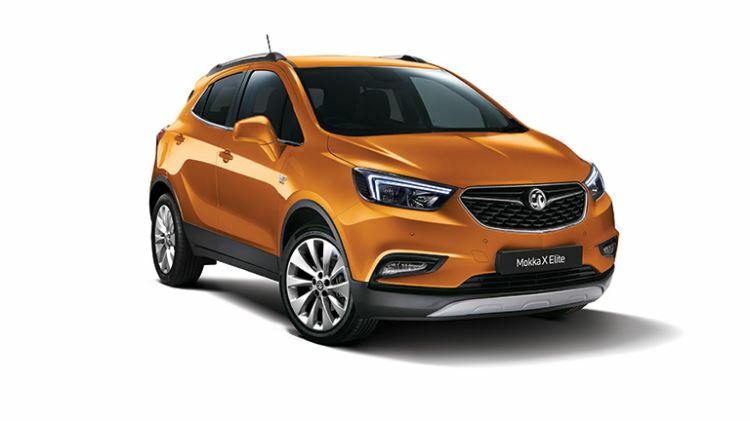 In addition, the Mokka X is very sleek and modern. The car drives like a dream. Easy to get in and out of. Excellent fuel economy. Enough indoor technology to make driving easier. I love this car. The driving position is really good. I can see all I need to and the seats are really comfortable. The car feels solid and it looks great. I drove the car today through the snow and the heated seats and steering wheel really came into their own. The car felt safe and responded well to my commands. All good so far. Love my Mokka X, great small SUV and high up and so easy to park in a great colour.